Remember the story in Luke chapter 17 about the 10 lepers? Here is what we find in verses 12-19: “As He entered a village, ten leprous men who stood at a distance met Him; and they raised their voices, saying, “Jesus, Master, have mercy on us!” When He saw them, He said to them, “Go and show yourselves to the priests.” And as they were going, they were cleansed. Now one of them, when he saw that he had been healed, turned back, glorifying God with a loud voice, and he fell on his face at His feet, giving thanks to Him. “ Lepers in ancient society were rejected and required to warn others that they were unclean and to stay away. These 10 lepers desired to be healed and they run into Jesus while He is on His journey. They called Him Master—recognizing that He was Lord and was able to do all things. Jesus tells them what to do in order to find healing. All 10 lepers obey Jesus and are healed. Just imagine how excited they were! They were cleansed from this disease that had made them outcasts. They could have their life back! Surely they would be so grateful, that they would all run back and thank Jesus, but they didn’t. Only one came back to say thanks. Only one came back to Jesus to bring glory to God. This story reminds me of times in my own life when God answered my prayer but I didn’t come running back to Him with gratitude. You and I know that all good things come from God. 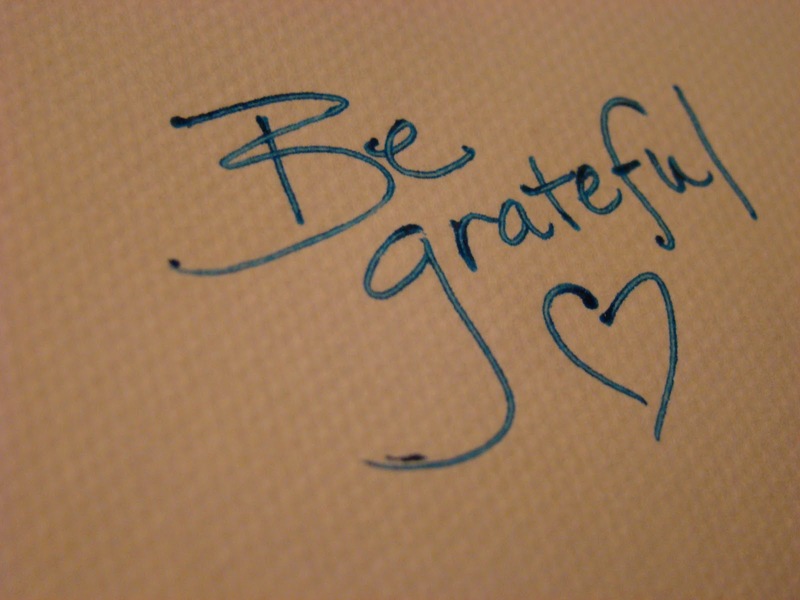 Good friends, family, material blessings…they all come from Him, so why is it that we often forget to say thank you? Why do we take our blessings for granted? I want to be like this one faithful leper who was healed. I want to be the one who comes to Jesus with a grateful heart. May we be ever mindful of where our blessings come from and may we always be grateful for what He has done and bring glory to His name! Thanks for reading today!